Simplicity is always one the best way to go. 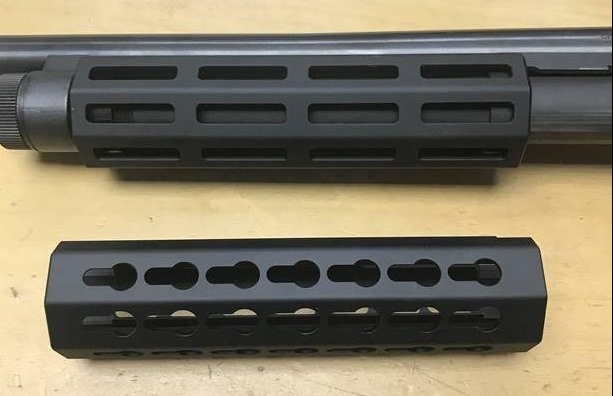 We keep things nice and simple here and this is how we came up with these products here, the M-Lok and Keymod Rail Handguard for 870 Shotgun. These items would be available end of Sep 2017 and we are taking preorder at the moment. Please contact us for further info, thank you very much! First Tactical Men’s V2 Tactical Pants are available now at Military 1st online store. These ultra-lightweight tactical trousers come with genuine YKK zipper and Prym snap, seven wide belt loops, running gusset, articulated and reinforced knees with double layer knee pad pockets, and multiple utility pockets including expandable deep cargo pockets. Moreover, First Tactical V2 Tactical Pants are made of 2-way mechanical stretch micro ripstop fabric with water, oil and stain repelling Teflon Shield+ treatment and triple-needle stitching at all critical seams. Comfortable and functional First Tactical cargo trousers offer professional appearance, improved comfort and movability, and are perfect for law enforcement, military and security personnel and everyday wear. 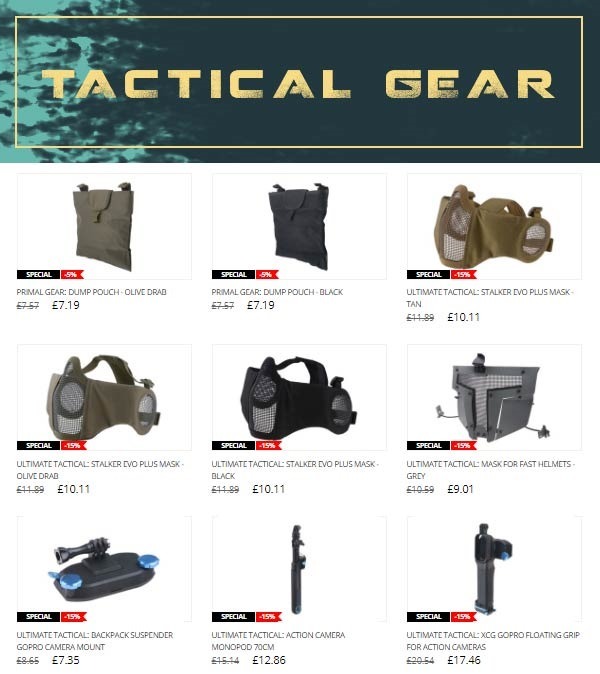 20% discount on all gears !! 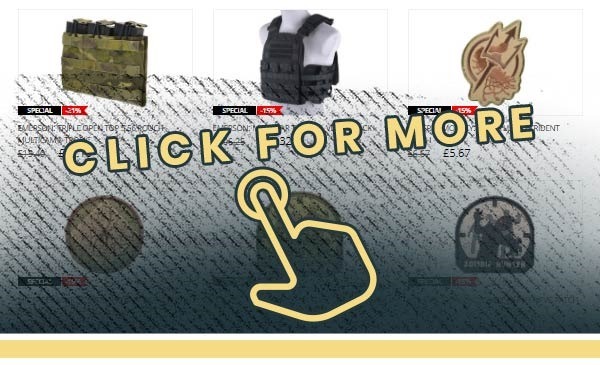 Military 1st offers 10% off A-TACS AU camouflage category with Discount Code ATACSAU. 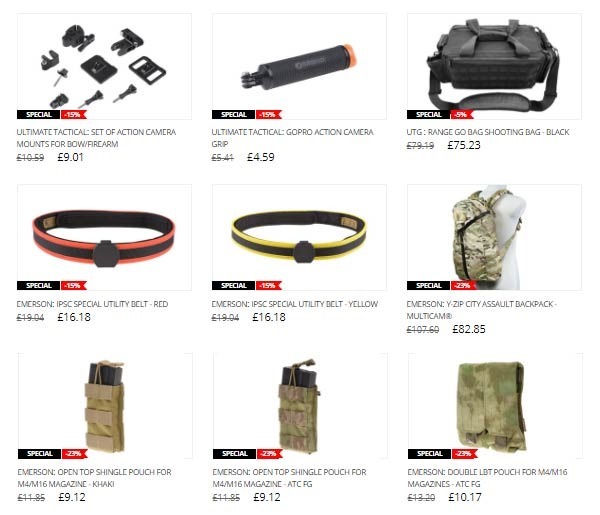 Save on camouflage apparel and equipment including combat uniforms, tactical vests and military rucksacks, from Condor, Flyye, Helikon, Propper and Wisport. Hurry up: this special offer ends 25 July 2018, midnight. Applies only to A-TACS AU camouflage category. Excludes sale items. Wisport Sparrow 16L Rucksack is available now at Military 1st online store. Wisport Sparrow 16L Rucksack is made of extremely durable 500D Cordura Nylon, has a 16L capacity can be attached to larger bags and packs. Long-lasting and lightweight, this compact military backpack features spacious main compartment with a clamshell opening, internal hydration sleeve pocket and multiple elastic loops, zipped front compartment with external Loop panel, MOLLE webbing at the front and sides, and side compression straps for size adjustment. Wisport Sparrow 16L Rucksack comes with removable, padded and ergonomically shaped shoulder straps with quick detach system, hydration hose mounting brackets and chest strap, ACS (Air Comfort System) carrying system and padded back and reinforced top carrying handle. Developed in collaboration with Polish Military forces, this functional Wisport backpack is excellent as a tactical drop bag and perfect for light travel, camping and hiking. 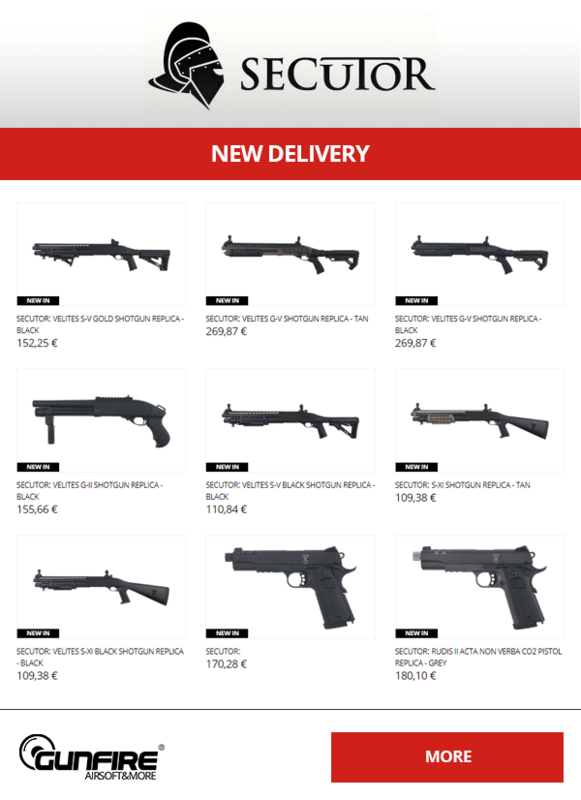 1911 pistol is still one of the most famous and popular pistol after a century past. 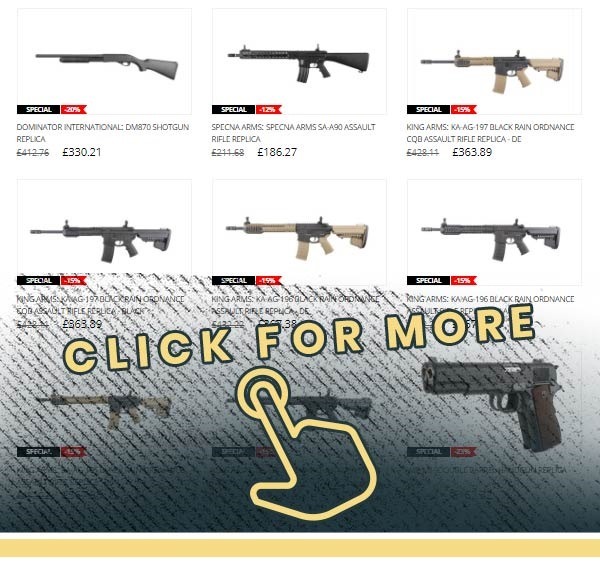 They semi-automatic mechanism is a ground-breaking innovation and influenced many firearm designs in modern days. 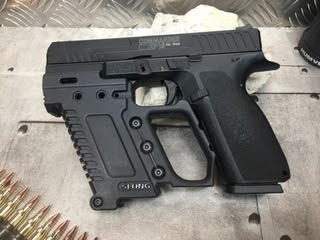 AW Custom™ NE30 Series Pistol comes with flat top serrated slide and unique checkering designs on slide and frame. 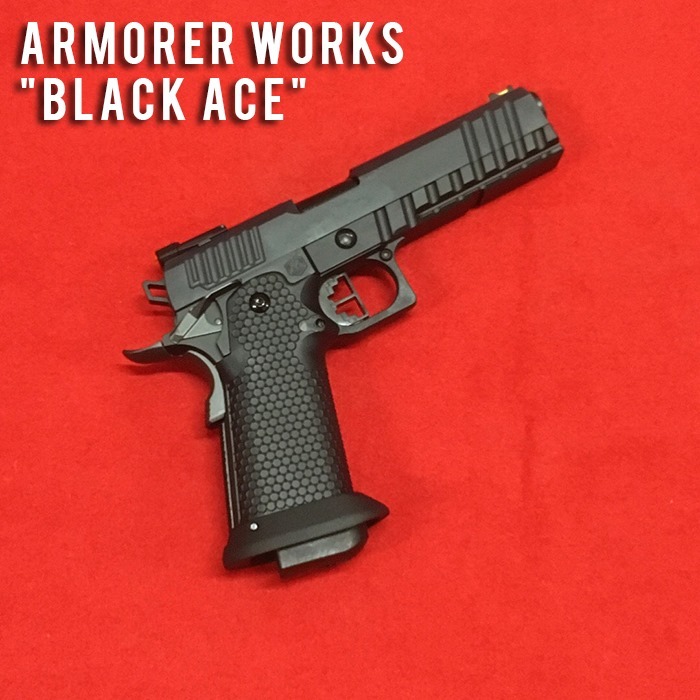 Both of it enhanced the gripping surface and made the pistol more user-friendly. 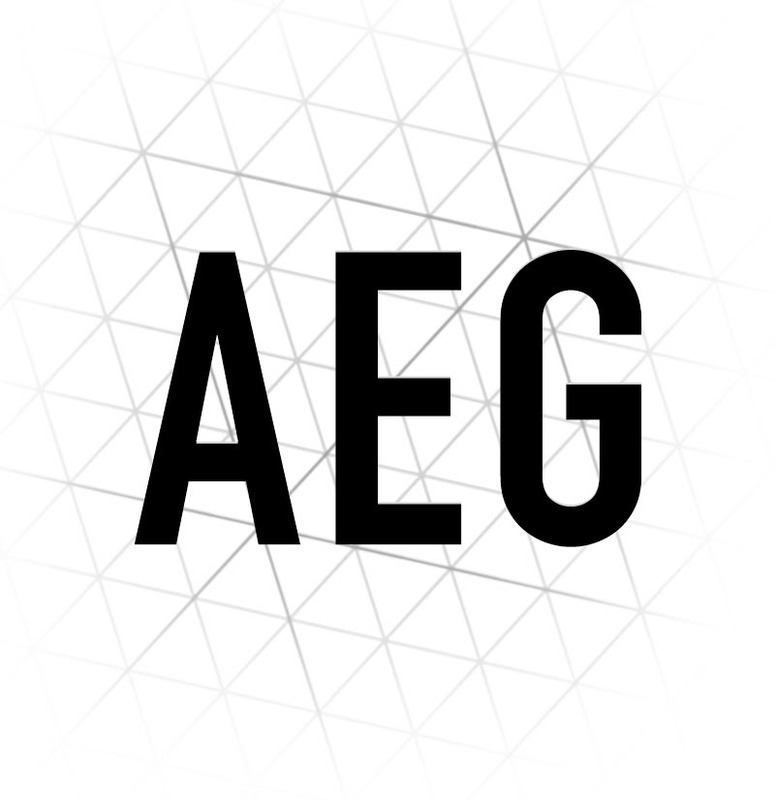 AW Custom™ knows about what our customers need and we designed the NE30 Series to be extraordinary. With the star-style trigger as well as guide rod, you will never see it on the market before. 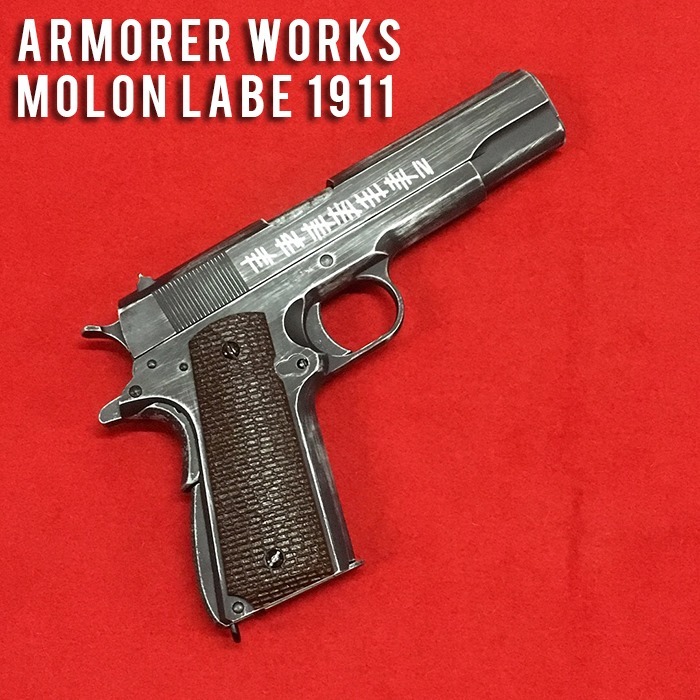 AW Custom™ NE30 Series is under brand new series under iconic 1911 configuration. 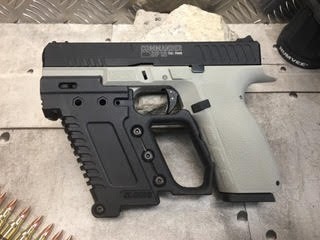 The flat top serrated slide as well as aggressively checkered slide and frame will give NE30 Series Pistol a unique and yet innovative appearance among the market. Being available in three colours configuration – Silver, Black and Two-Tone models, one of them will surely suit your personal preference. AW Custom™ NE30 Series Pistol features with aggressive checkering design on both front and back of the slide. 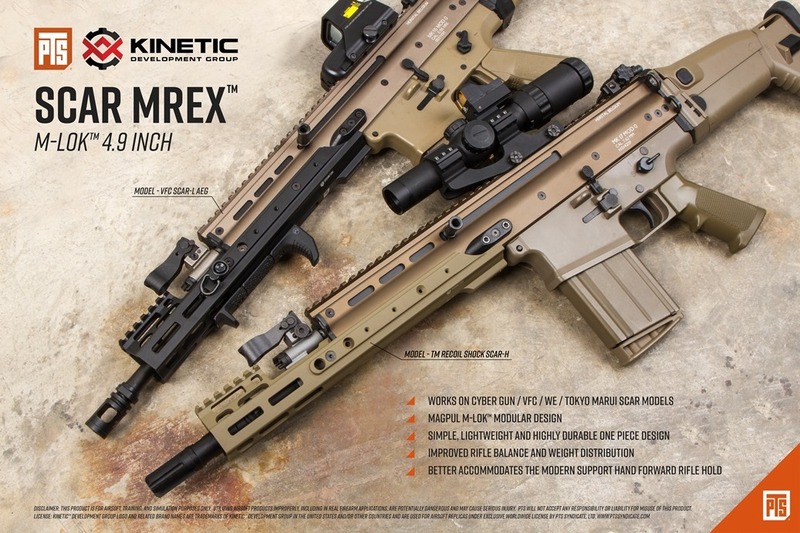 This further enhances the gripping surface and make it pistol easier to operate. Apart from the slide, the checkering design continues on the frame of AW Custom™ NE30 Series Pistol. 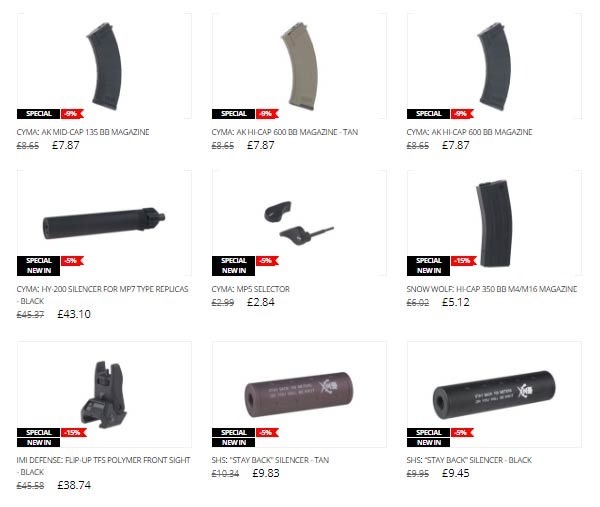 This ensures the shooter to maintain a firmer grip while holding the pistol. 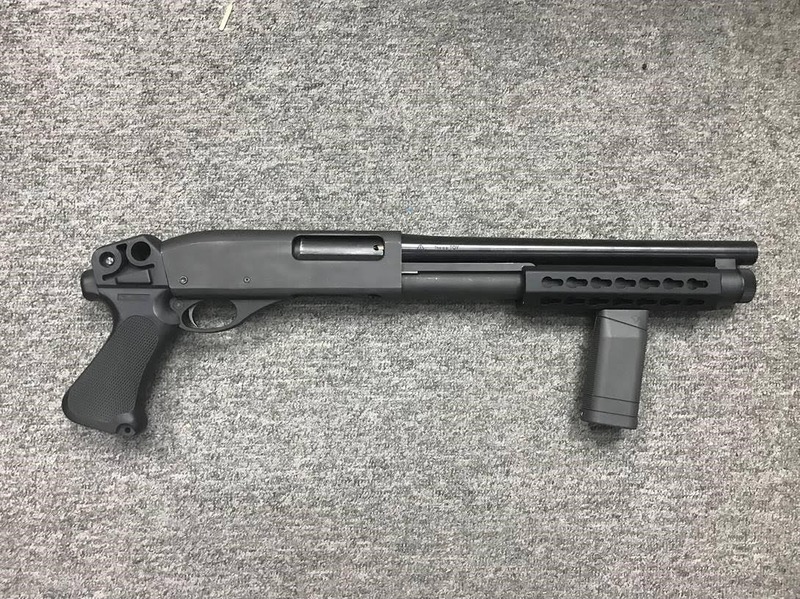 AW Custom™ NE30 Series Pistol comes with flat top serrated slide. 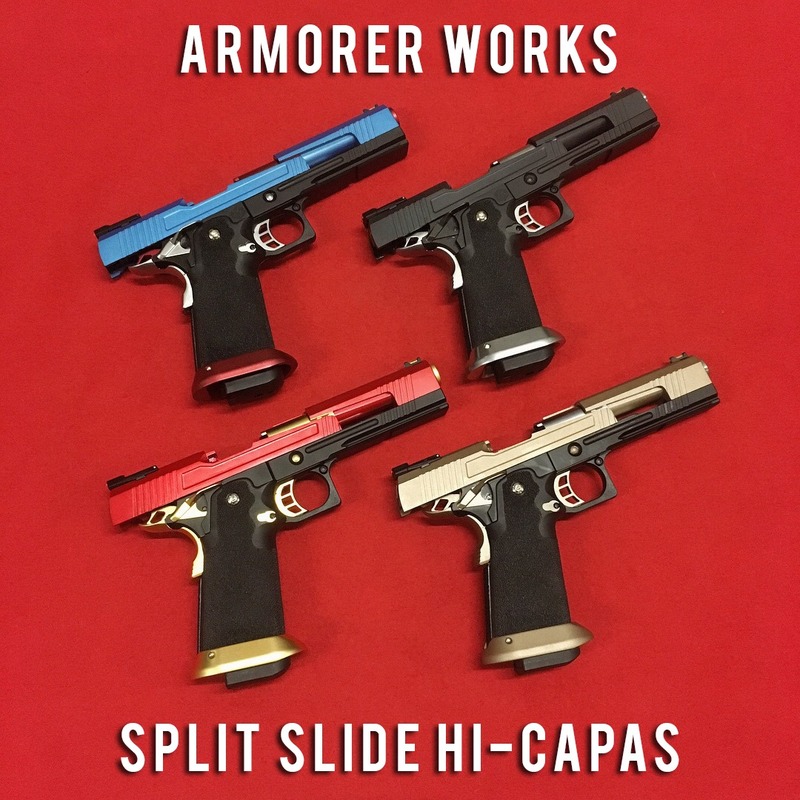 It allows the shooter to have a smoother action while operating the pistol. It’s something you will rarely see on a 1911 pistol. It’s not just a simple 1911 pistol. AW Custom™ NE30 Series Pistol equips with Star-Style Trigger. Though the pistol is in classic 1911 configuration, yet it is an innovation in the other way round. Beside the trigger, AW Custom™ NE30 Series Pistol also comes with Star-Style Guide Rod as well as the unique barrel bushing. We know it looks classic and yet extraordinary at the same time. AW Custom™ NE30 Series Pistol features with a fully adjustable rear sight. No matter you are focus CQB action or long range targeting, simply adjust the rear sight with screwdriver to your favourite zero position. Are you right-handed or left-handed? No need to worry! AW Custom™ NE30 Series Pistol comes with ambidextrous thumb safety to cope with shooters with different dominant hand. 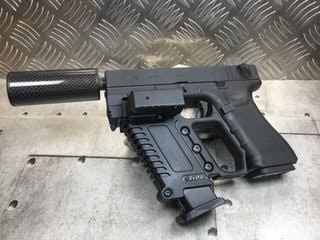 AW Custom™ NE30 Series Pistol comes with a brand new tactical magazine. 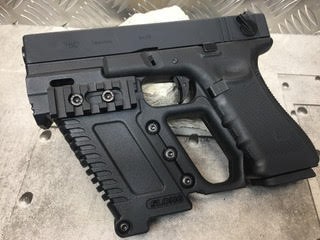 The extended magazine base plate enhances the reloading action and protects the magazine in case dropped onto the ground. 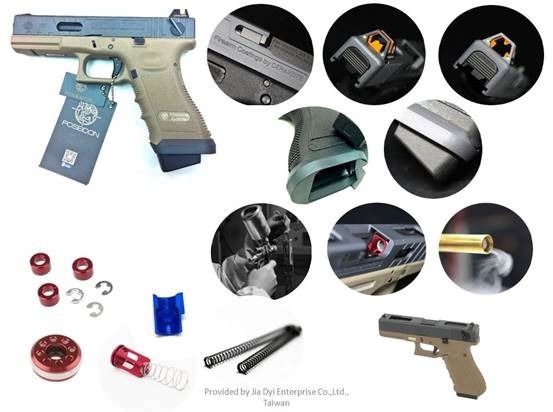 AW Custom™ NE30 Series Pistol is engineered to be CO2 ready with our brand new CO2 magazine. No matter what kind of power sources, just switch with the different magazines and they are good to go! 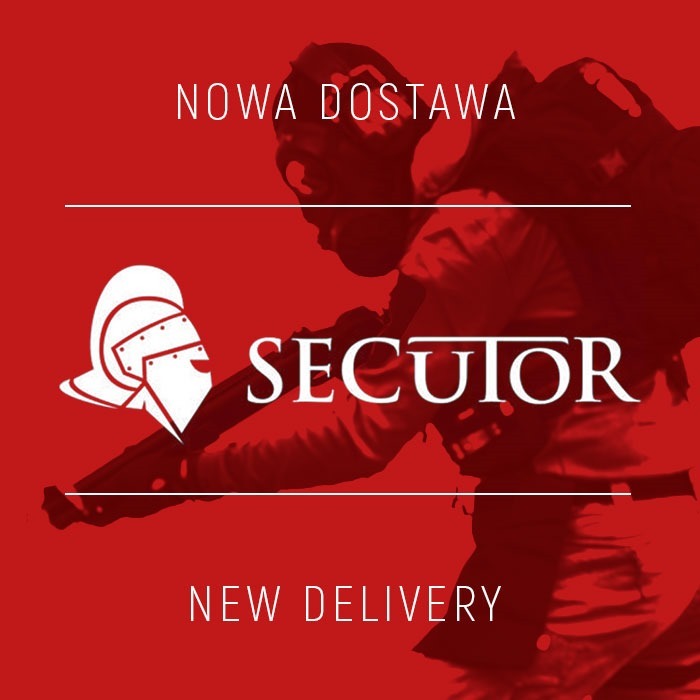 The long-awaited Secutor shotguns are finally available! The offer includes a metal, gas powered version and a spring model with a polymer body. 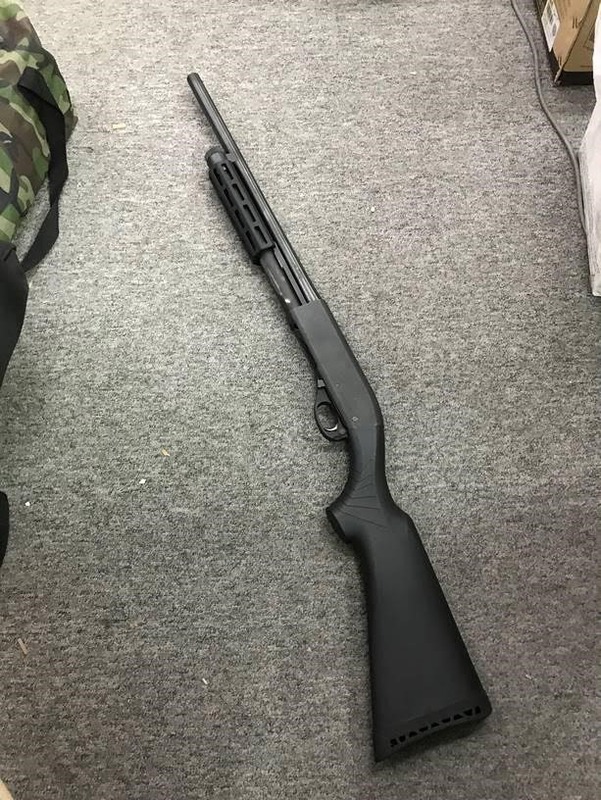 Shotguns are equipped with KeyMod or AR15 type stocks. 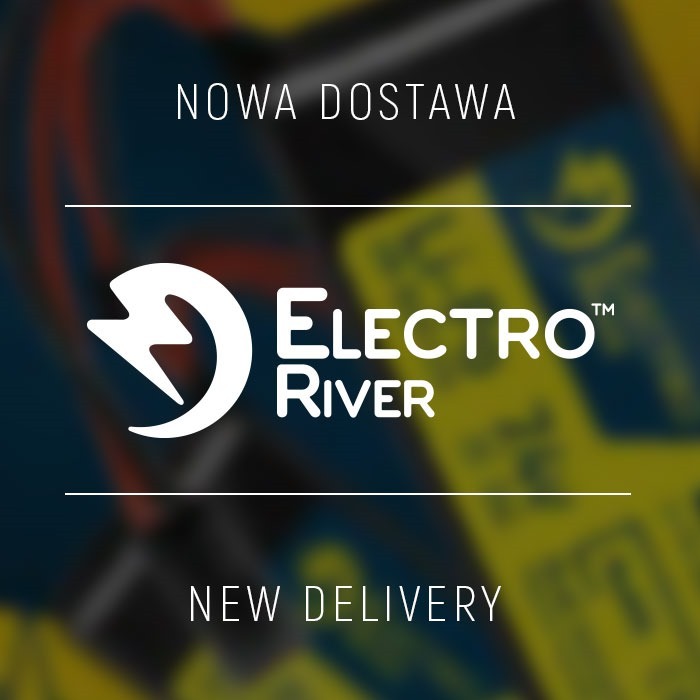 Check out the new Li-Po batteries from Electro River! 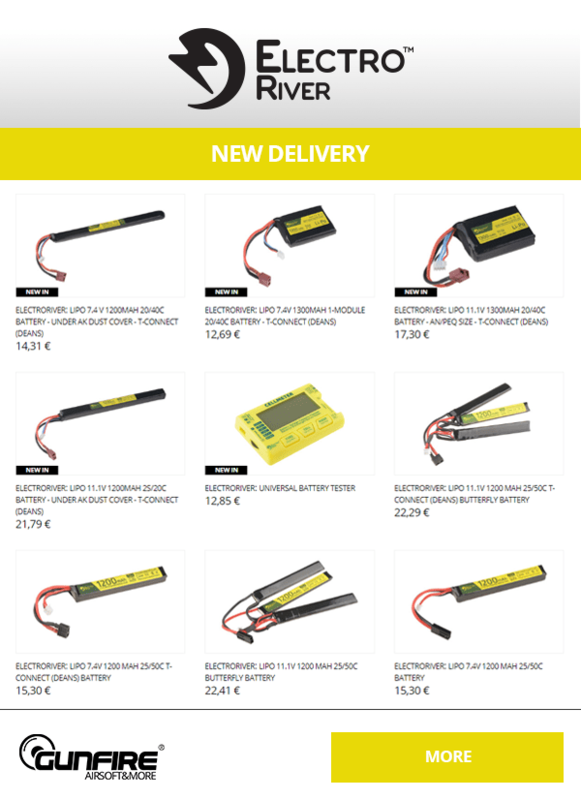 We have restocked our storehouse with 7.4V or 11.1V LiPo batteries, Stick batteries and accessories like chargers, Li-Po alarms, Li-Po Bags. 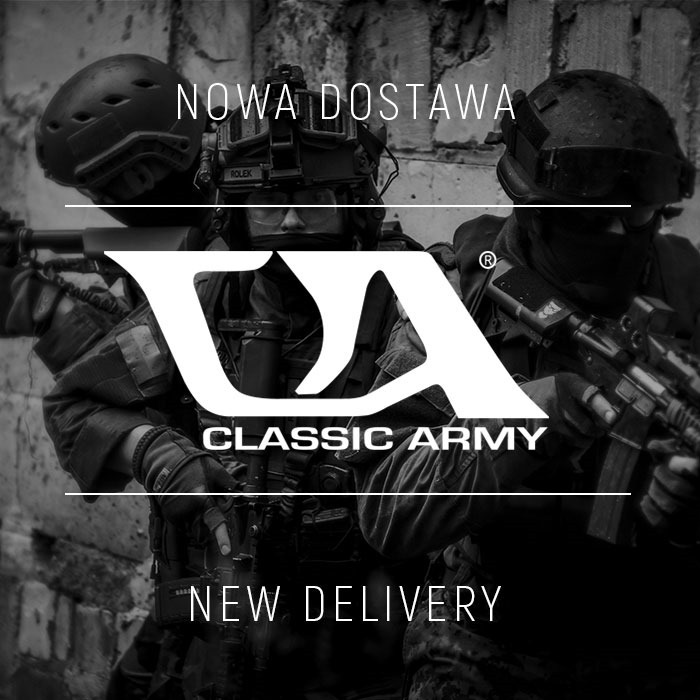 We have received new delivery from Classic Army! 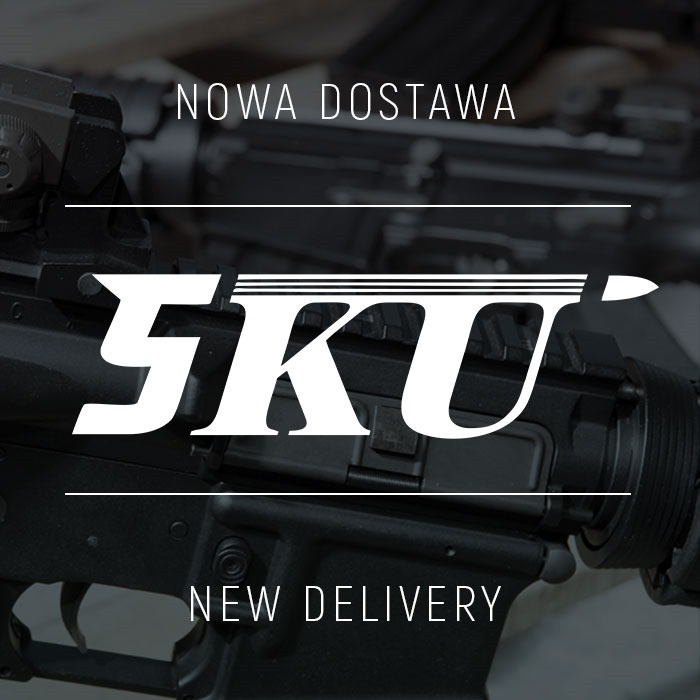 You will find in it AR15 replicas with KeyMod handguards, steel rifles from CAK series as well as real airsoft treats like M132 Microgun. 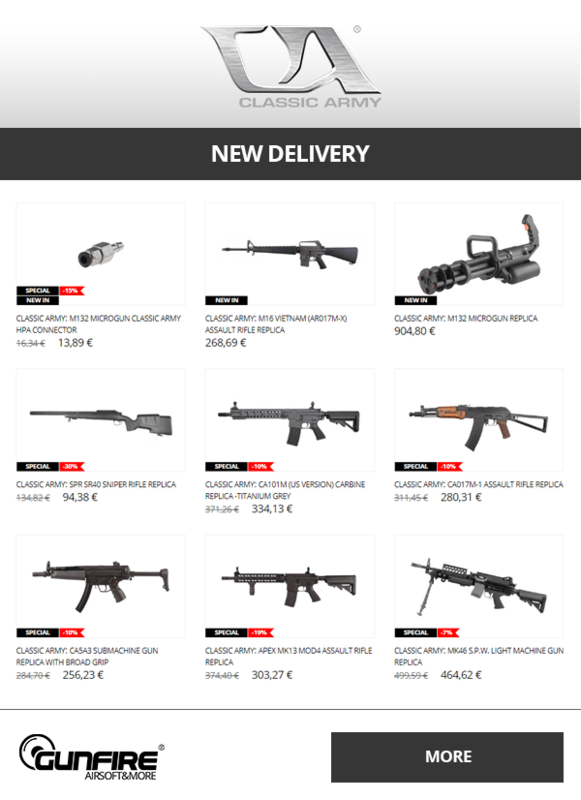 New delivery of original, licensed RONI conversions produced by CAA Airsoft Division. 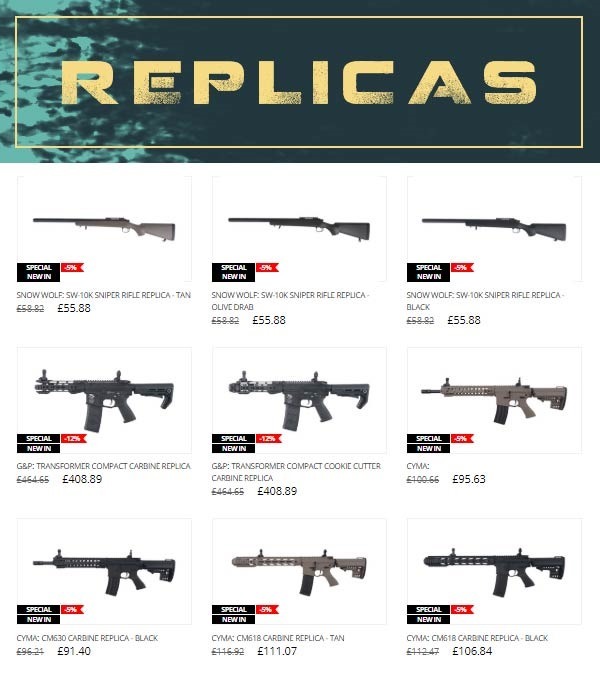 They are dedicated to replicas of such pistols as Glock, M9 Beretta, or Sig Sauer P226. 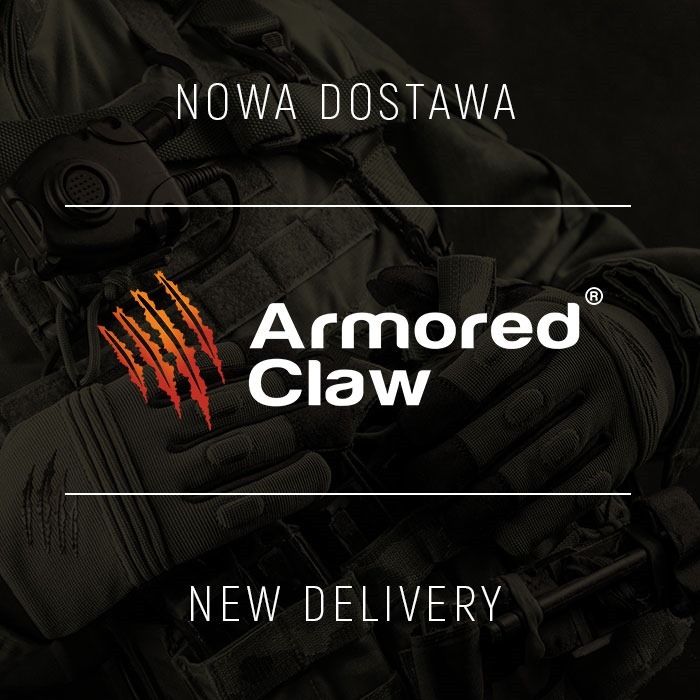 We have received a large shipment of Armored Claw gloves! They are available in different versions, sizes and colors. 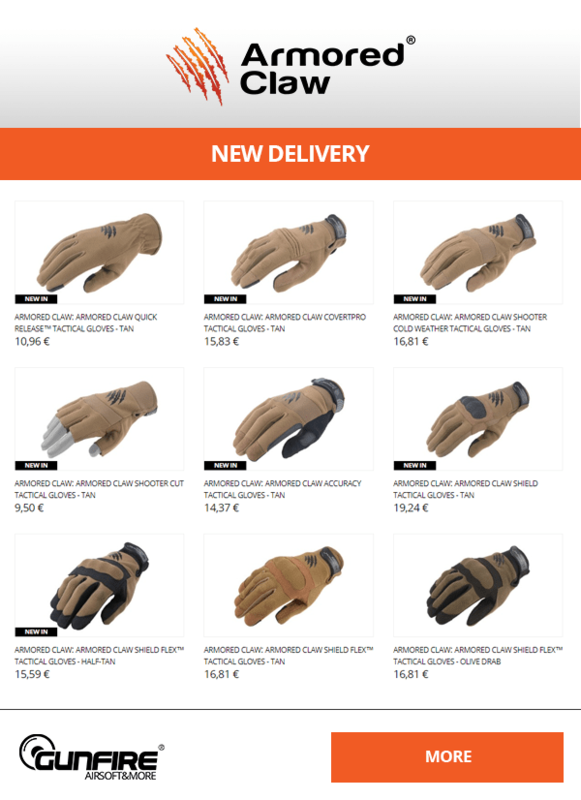 Gloves are made of reliable materials such as Kevlar® and Nomex® by DuPont® or the protective Keprotec®. 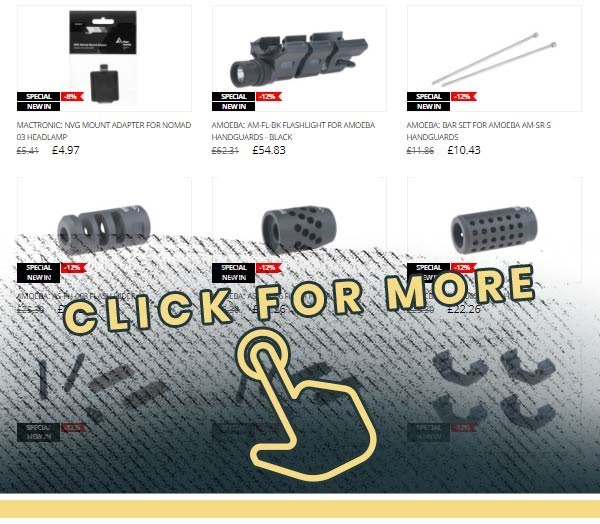 This is a great opportunity for Specna Arms fans! In cooperation with the German brand, Uvex, it has created a new product. 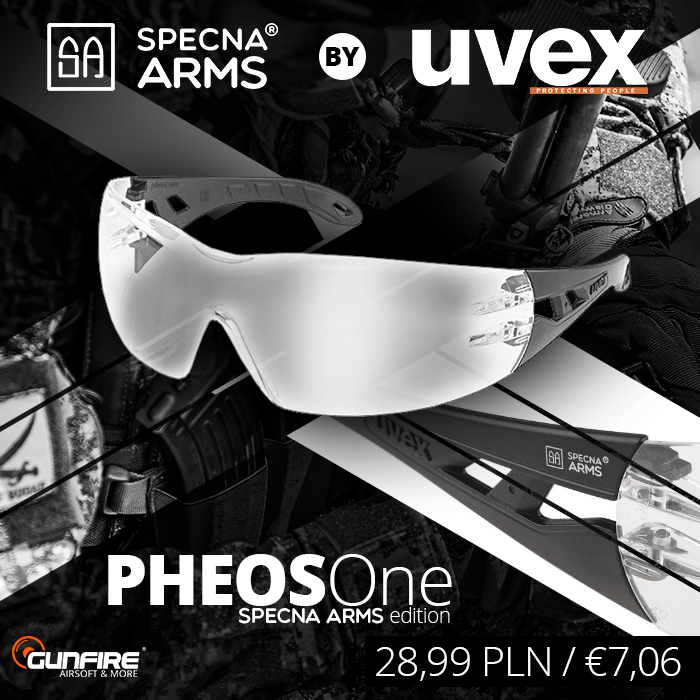 Uvex Pheos One is popular line safety glasses with Specna Arms markings! 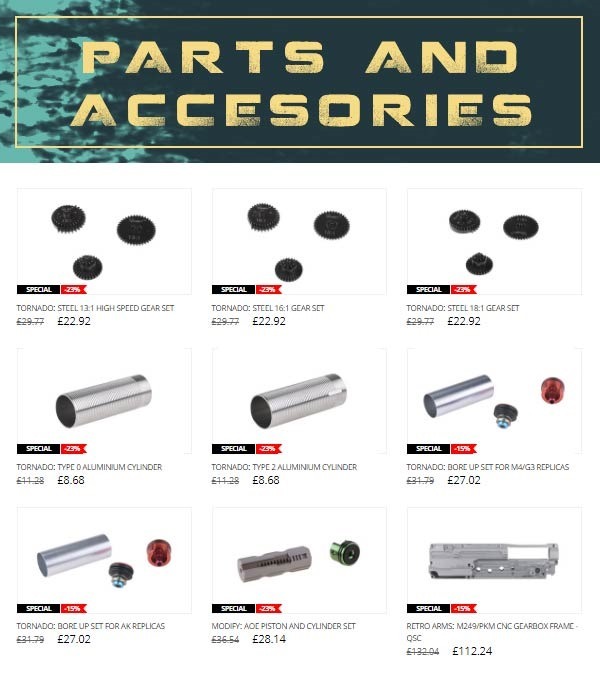 If you are looking for original, external accessories for your replica, you should check the latest delivery of 5KU parts! 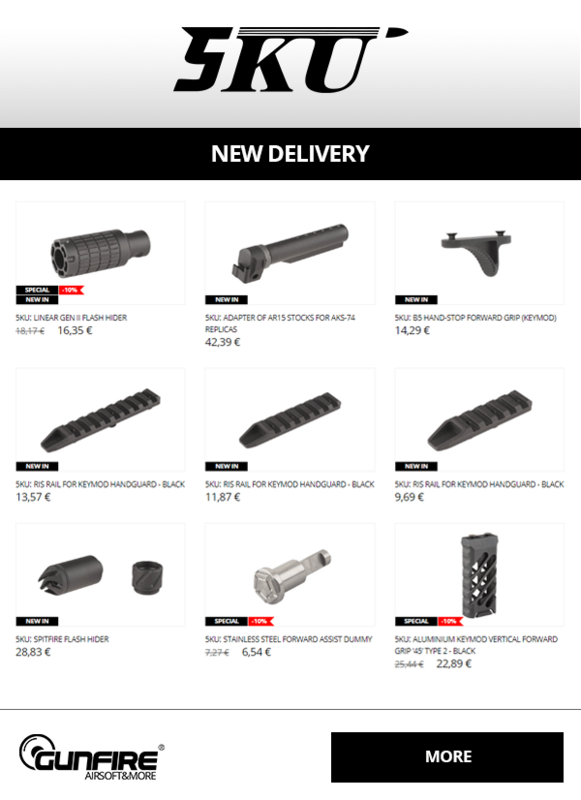 It contains grips, stocks and accessories made mostly of aluminum and on CNC machines. 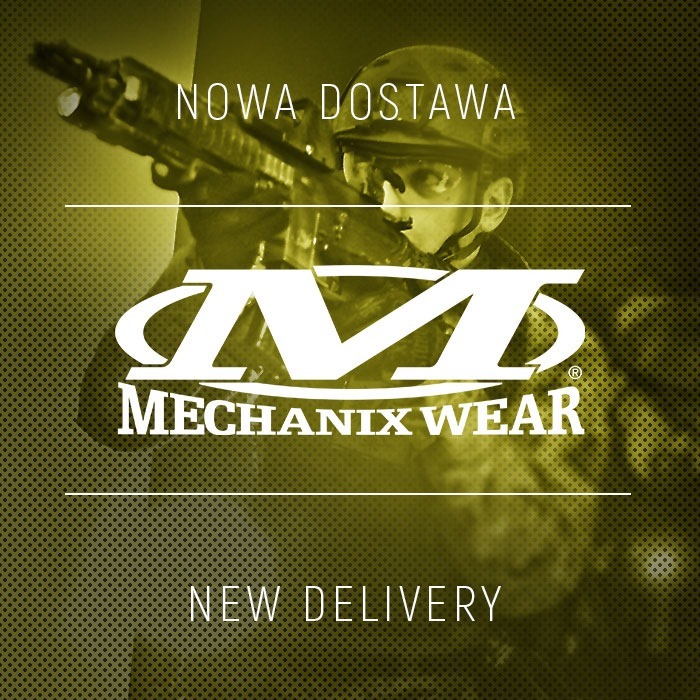 Solid, protective gloves from Mechanix are valued by soldiers, airsofters or mechanics from all over the world. 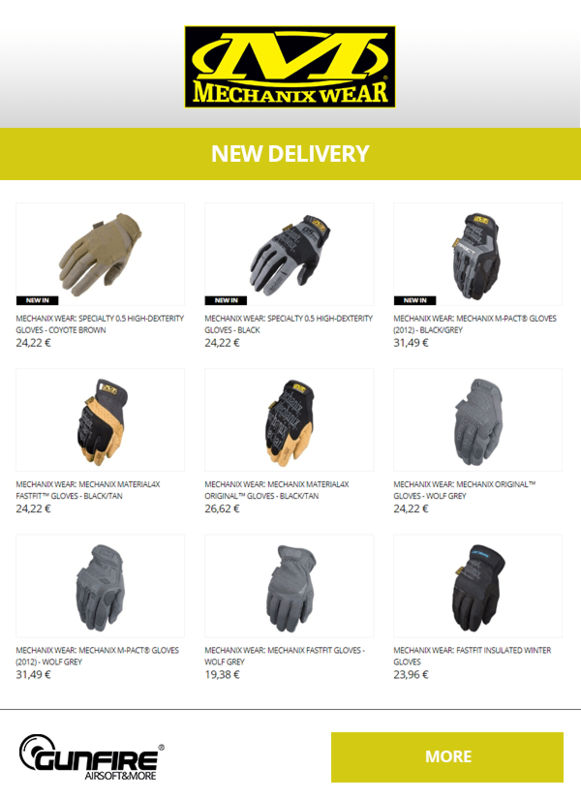 The delivery includes Original, FastFit or M-PACT® models in various color options. 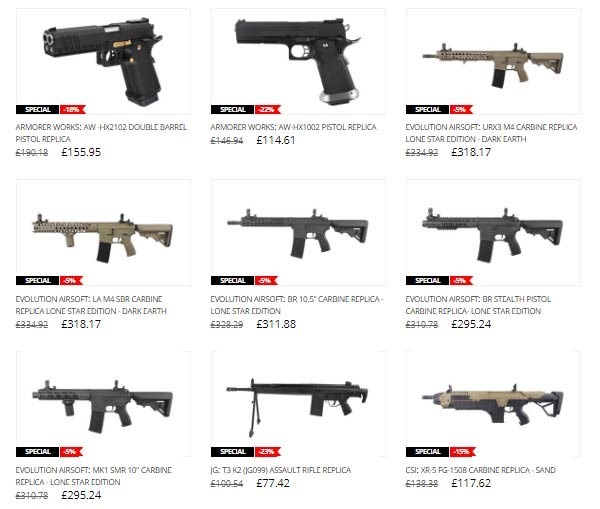 NEW IN AT ZERO ONE AIRSOFT ! 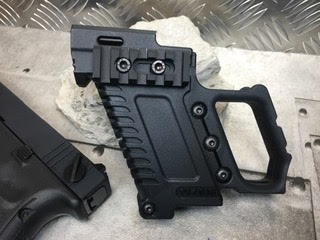 Turn your Glock or ASG Commander Pistol into a mini Kriss Vector lookalike with the SLONG G-Kriss XI Kit.